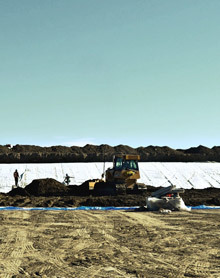 KLS Earthworks & Environmental is an Aboriginal owned, Western Canadian company in operation since 1990. 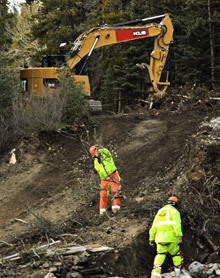 Today, we are a leader in excavation, earthworks and environmental construction, providing safe excavation solutions to construction and remediation projects in Western Canada. 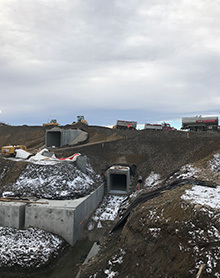 KLS specializes in excavation of road interchanges, tower foundations, bridges, storm ponds, landfill construction/capping, and commercial building projects. We have the team and expertise capable to execute contaminated site remediation & reclamation, in-stream/riparian projects, and pipeline integrity programs. Our elevated standard of safety, quality, and value provides our clients with solutions to their environmental and earthworks challenges. We pride ourselves on a versatile employee-base which can implement earthwork solutions safely while minimizing environmental impact. We provide Project Supervisors with significant experience and safety training. All of our field employees are subject to competency evaluations and “fitness for work” testing as a part of our comprehensive Safety Program. We are constantly evolving and improving the way we support our clients. We continually invest in the latest heavy equipment and tractor/trailer units. Our greatest investment is in the development and retention of our people. It is our people that deliver on the highest level of Safety, Quality, and Value to our clients…every day. 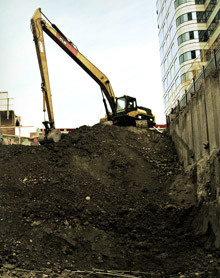 Highly experienced at detailed inner-city excavations with the engineering insight to confidently prepare construction projects with under ground parkades or for excavations under or around existing roadways and structures. 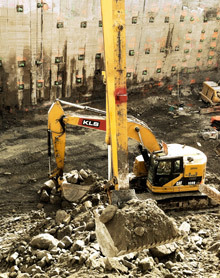 A most trusted partner to many companies for deep basement excavation within a small footprint, we are experts at working with the unique challenges and tolerances associated with excavation support for complex shoring systems. For roads, bridges or highway interchanges, and whether in new developments or for construction in high-traffic and heavily populated areas, our highly skilled earthworks professionals have done it all – safely and efficiently. Integrated services package to provide solutions for top soil management/removal, excavations, road earthworks, and soil transportation. These services, coupled with our experienced project management provide our customers with an elevated standard for their development projects. An experienced team with a proven track record for working on remote sites and facilities. 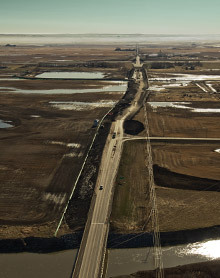 Our solutions include site access/prep, road and lease construction, pad/pond construction, and culvert installation/repair. An integrated solutions package for environmental earthworks, site remediation / reclamation and decommissioning & demolition. Our high standard of Safety and Environmental policies provide our clients with confidence and value to meet their project requirements. 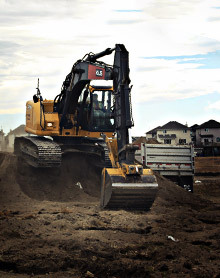 KLS Earthworks and Environmental Inc. is a full service Underground and Fortis approved contractor. KLS is capable of completing all deep utility installation and then remaining onsite to complete any shallow utility work you may have. Our subsidiary company Calgary Aggregate and Recycler is an indemnified contractor capable of completing any indemnification work no matter the size. Together we have over 15 years of underground experience and are leaders in both deep utility installation and shallow utility work. KLS is your turnkey contractor capable of completing any project of any size safely, on time and cost effectively.